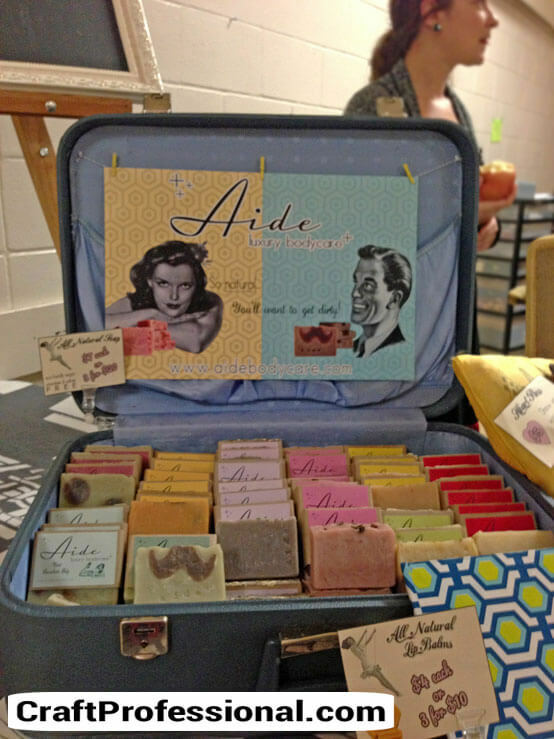 Lots of Photos of Soap Booths! 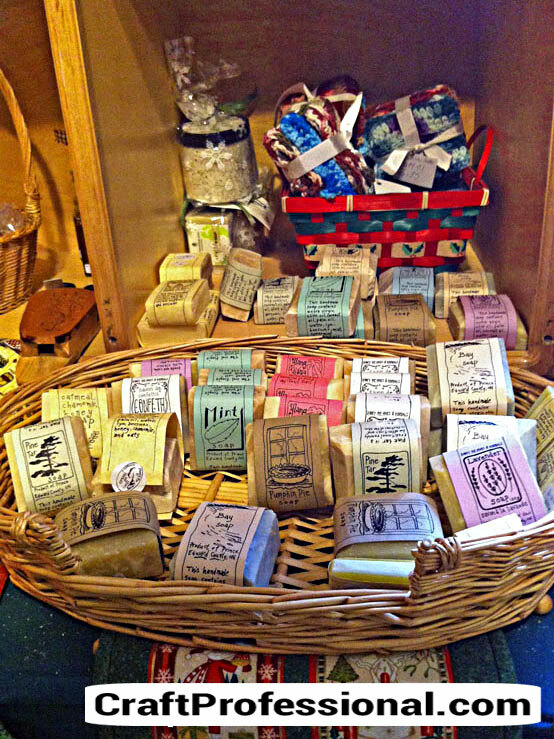 I love handmade soap displays. I could spend hours browsing and shopping at those booths, so I had an enormous amount of fun collecting the pictures for this page. 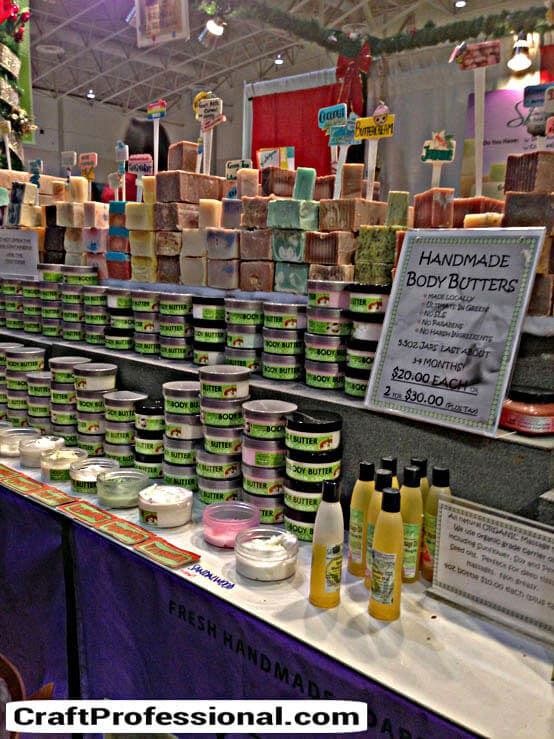 Perhaps more than other types of craft fair booths, soap booths (along with candle displays) need to be very interactive and accessible to customers. 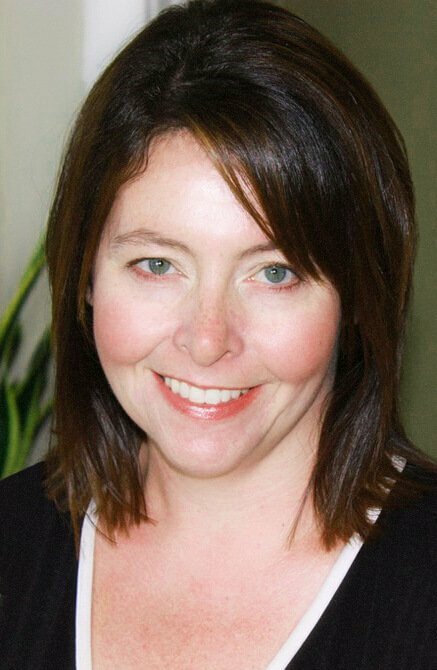 Your customers need to fully experience your products through touch, feel and smell before they buy, so when you plan your booth, achieving that level of customer interaction needs to be a top priority. That means, avoid anything that would prevent a customer from picking up your products. 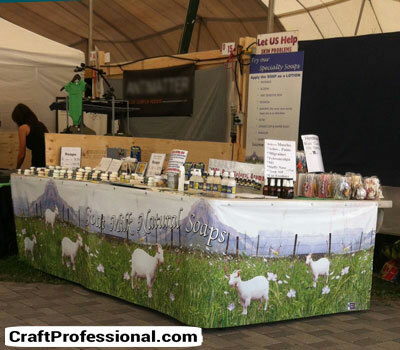 No delicate looking, breakable display items, no elaborate set-ups that customers won't touch because they don't want to ruin your fancy display, and lots of space for customers to access your booth. 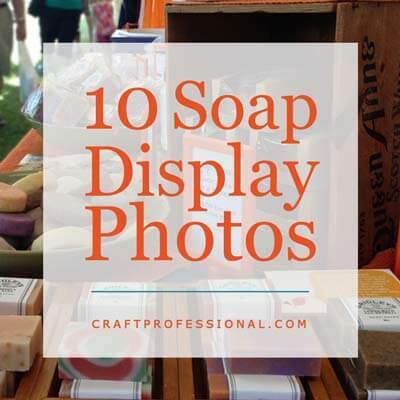 Also, I hope the photos below will show you how important it is to set the right tone with your displays. 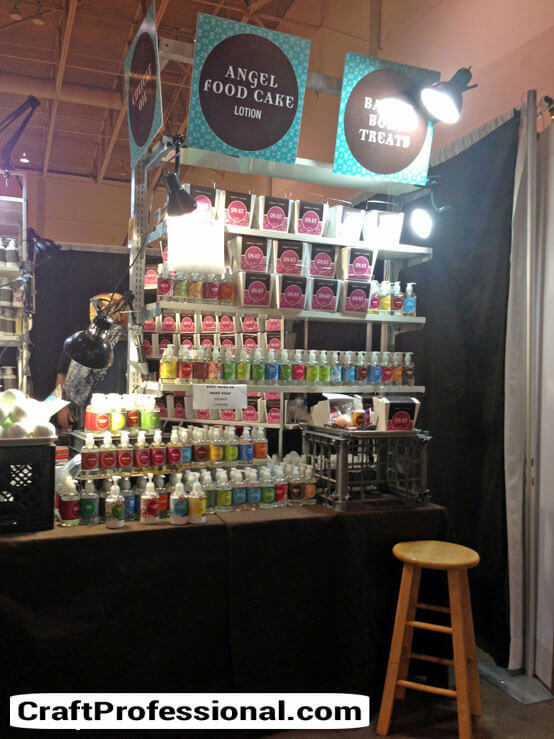 Because your items are generally small, the materials and colors you choose for your booth (along with your packaging choices) will have a huge impact on the first impression you make on customers. If you were displaying something larger, like clothing or art, the style of your work would be more immediately clear to customers. However, because customers won't get a good feel for your products until they get up close, you really need to use your displays to set the right tone for your customers. Think carefully about the type of impression you want to make. 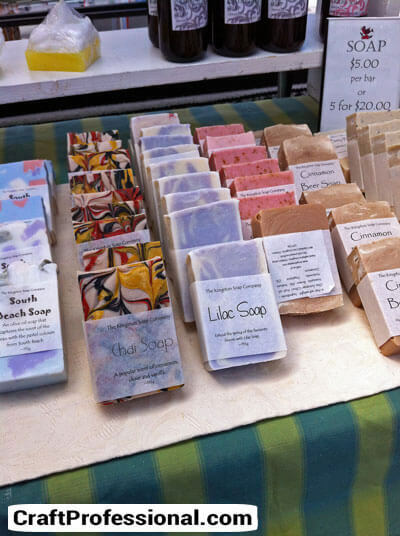 Do you want to market your soaps as luxury spa products, or all natural organic products, or fun and funky items? Each approach would require a different type of display, so be sure to think that through before you design your booth. 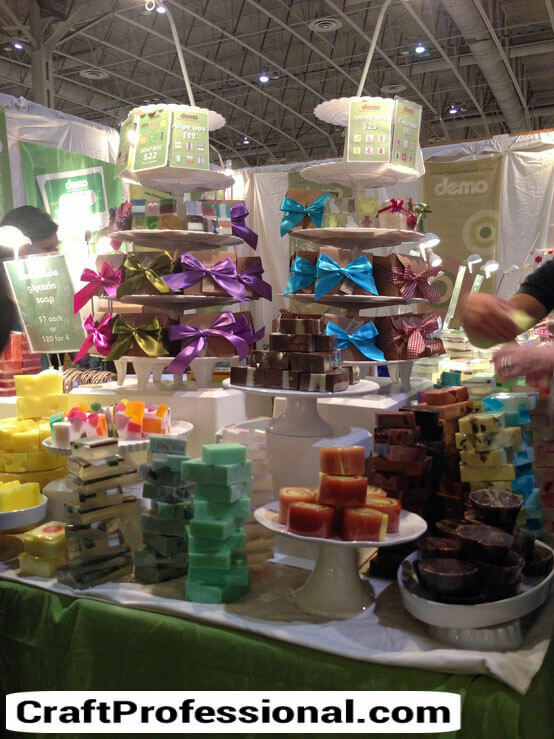 This fabulous booth is a riot of soaps! 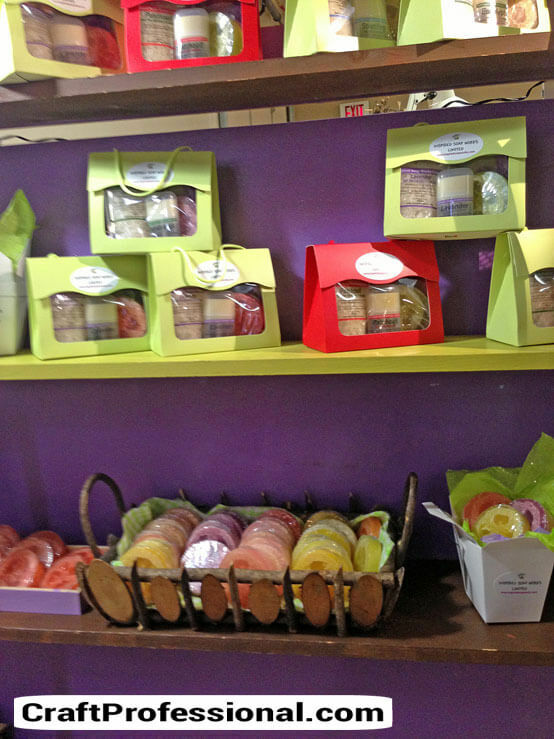 I adore the cake stands and the use of color in this soap display. My mom has this exact suitcase from the 70s. 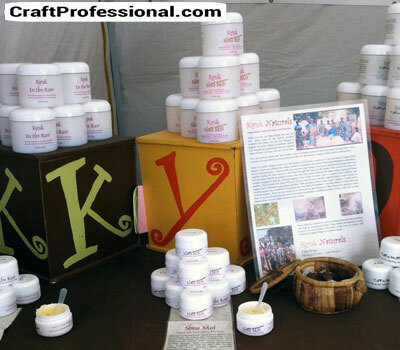 Maybe that's why I love this craft booth so much! Again, different display styles and packaging create different moods and send different messages for each of the booths above. 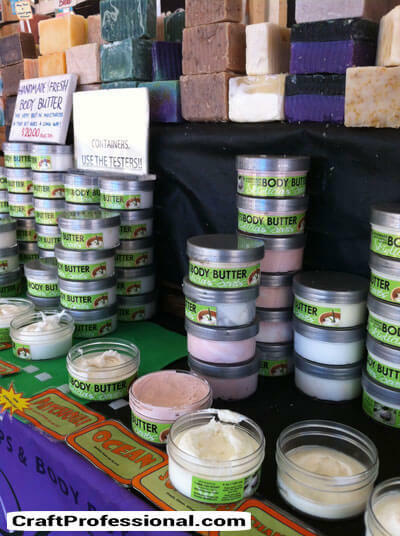 Notice how easy it is for customers to pick up and sample the soaps and lotions in each of the booths in the pictures. 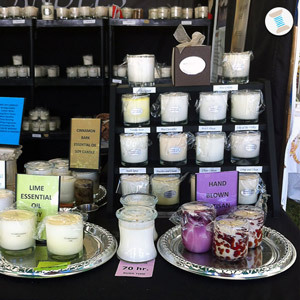 Soap displays do tend to have a lot in common with candle booths, so have a look at the candle display photos here for some more inspiration. 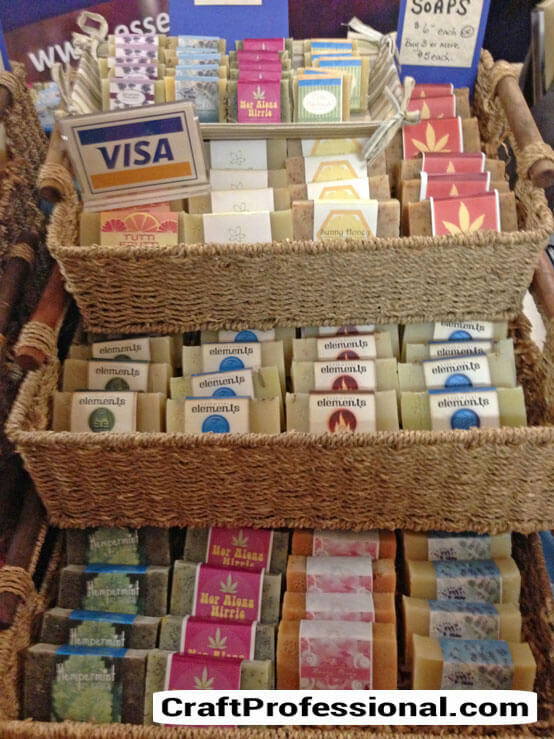 More soap display photos right here! 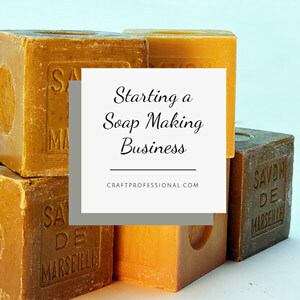 Tips to start your soap making business. 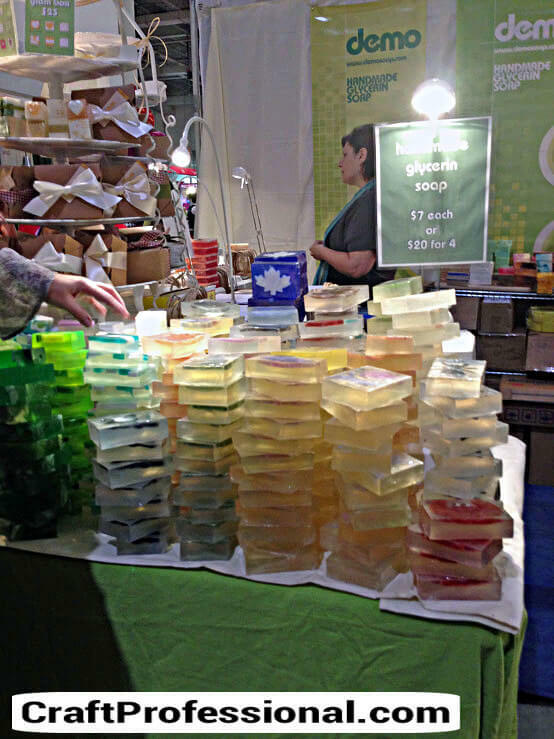 Candle displays have a lot in common with soap displays. Check out these candle displays for more ideas.